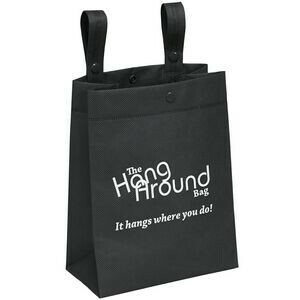 Litter bags are great promotional items. Customers put them in their cars and will see them every day. 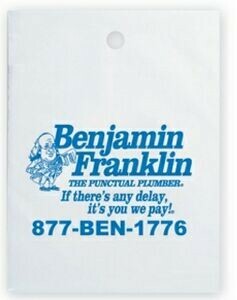 A good litter bag wonâ€™t be thrown away until it is completely useless. The problem with traditional plastic litter bags (shown to the left) is that todayâ€™s cars donâ€™t have window roller knobs or radio knobs to hold the bag like in the days of your daddyâ€™s car. The Hang Around Bag by Bag Makers (shown on the right) solves the knob problem. 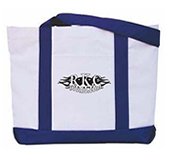 This bag is made of 100 GSM premium non-woven polypropylene tote with fused seams, side and bottom gussets, and snap-closure handle. 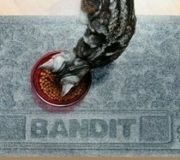 It measures 8â€³ W x 4â€³ D x 10â€³ H. The snaps allow the handles to be â€œloopedâ€ over molded door pockets and/or handles, seat backs or other automobile surfaces. 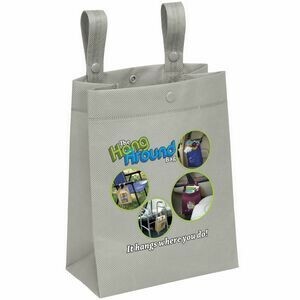 These versatile bags will also hang on lawn chair handles, walkers, wheelchairs and just about anything else that comes to mind. 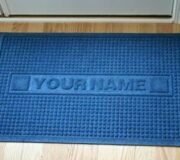 Your message can be a one color imprint or full color using Bag Makers ColorVista. ColorVista is great for maps, full color photos and anything else needing full color visual presentation. Click on the pictures for more details. Send a quote or information request on the item page and weâ€™ll be in touch.